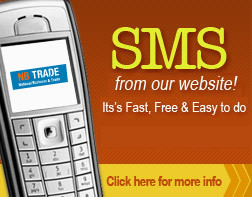 For the best and most trusted listings in your local area look no further then Nbtrade.com.au Gift Shop Directory. Gift shops are often found in areas that are more likely to have tourists visit, as they stock perfect little items for your friends and family. A range of small to big items to remember your visit or experience at the zoo, national park, theme park, museums or even the city! Many shops have great items for gift-giving holidays such as Valentine's Day or Christmas. We specify only the most popular and trusted listings in your local area. Search Ballina, Byron Bay, Lismore, and Tweed Heads for our specialised listings on the Gold Coast and Northern Rivers. Further listings across Australia look no further then Nbtrade.com.au Gift Shop Directory for all your coffee mugs, stuffed animals, t-shirts, postcards, handmade collections and other souvenirs or gifts. Email or SMS straight from our Gift Shop Directory. Don't be bombarded with misleading advertising, confusing claims and simply bad information. Nbtrade.com.au provides all the information you need. From contact details to specialties. Helping you source Gift Shops of the highest quality of care.